VTZ/R-12/1250-31.5 series type indoor high voltage Vacuum Circuit Breaker is rated voltage 12kV, three-phase AC 50Hz Indoor high-voltage Switchgear ,apply for power stations, substations, and industrial and mining enterprises to control or protection transmission and distribution systems , specially for the important high altitude breaking load and frequent operation place. 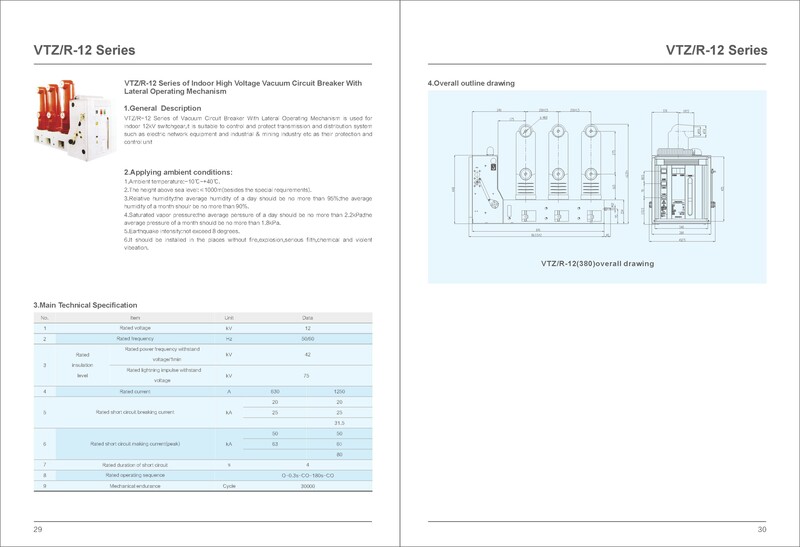 VTZ/R-12/1250-31.5 type vacuum circuit breaker manufacturing accordance with our national standard GB1984-2003 , DL / T403-2000<3.6 ~ 40.5kV Indoor Vacuum Circuit Breaker ordering technology>; and the related IEC standards And reliable interlock function. VTZ/R-12/1250-31.5 type vacuum circuit breaker Operating mechanism for the spring energy storage type, can use AC and DC energy storage operations, can also be used manually. VTZ/R-12/1250-31.5 type vacuum circuit breaker can be equipped with long life permanent magnetic actuator, mechanical life can reached 60000 times ,can be used for extremely Frequent operation place. 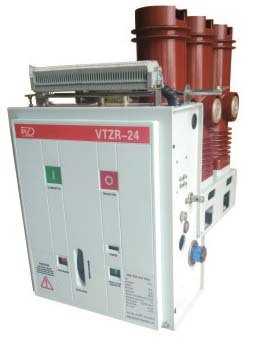 VTZ/R-12/1250-31.5 type vacuum circuit breaker designed to repackage the structure before and after, both can be used as a fixed installation unit, Can also be equipped with the chassis as used in the mounted unit. Looking for ideal 7.2kV Embedded Poles Fixed Type VCB Manufacturer & supplier ? We have a wide selection at great prices to help you get creative. All the 11kV Embedded Poles Fixed Type VCB are quality guaranteed. 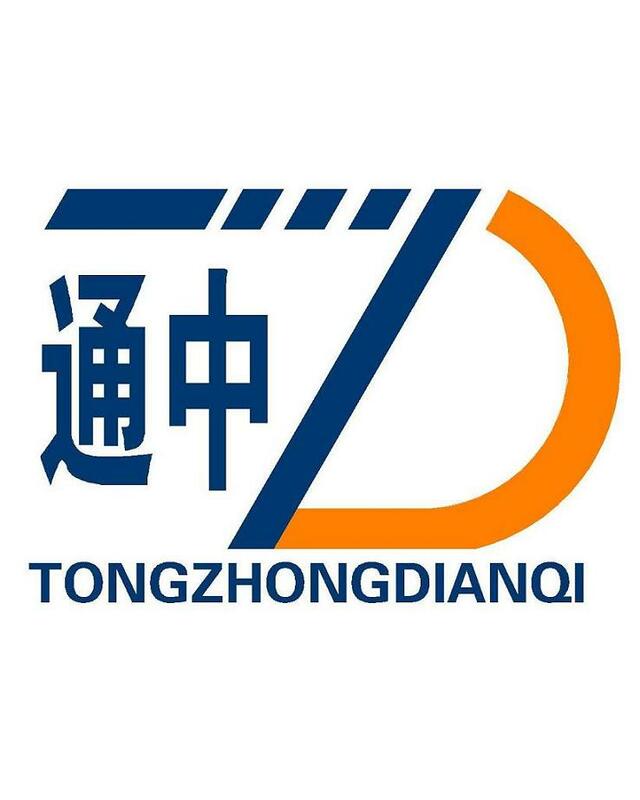 We are China Origin Factory of 12kV Embedded Poles Fixed Type VCB. If you have any question, please feel free to contact us.